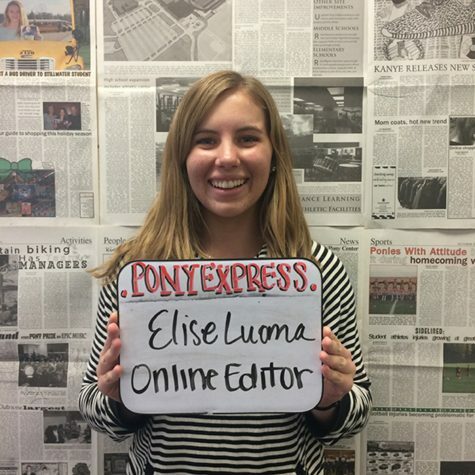 Elise Luoma- Student Playlist Editor, enjoys golfing, music, and shopping. You can find her watching Gossip Girl. Her favorite class is choir. In her free time, she is spending time with her family, going up to her cabin, wake surfing in the summer or traveling. She enjoys playing with her British black lab, Louie.